People use them in homes to give their living rooms added appeal. In children’s rooms, they transform a space into an homage to the latest cartoon character or a beloved hero of youth literature that has stood the test of time. 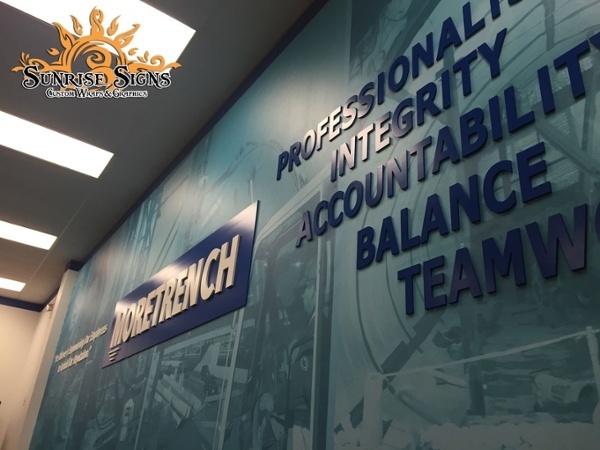 For a business, wall graphics and murals in Philadelphia, PA, turn into targeted marketing and branding tools that draw in customers and prospective buyers. What do you need to know about this signage solution today? What they say about artists has a kernel of truth. 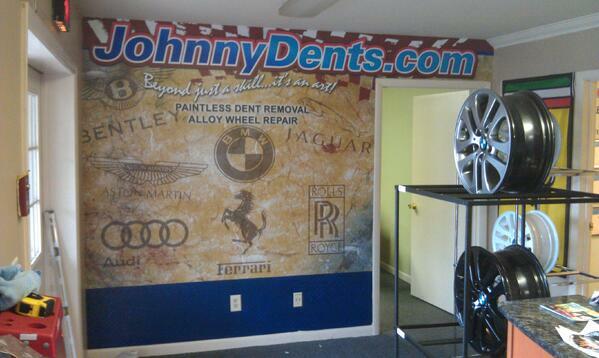 You may envision a full-wall extravaganza displaying your brand in a perfect corporate color match. What a mural artist may deliver is a painting that looks great but could carry a political message that you do not agree with. Sometimes, these elements are so subtle that it takes years for you to realize what you really have put up on your walls. Digitally printed graphics are far more user-friendly. What you see is what you get. The big names in the trade include Avery and 3M. But there is also a fair number of smaller manufacturers that offer vinyl, the substrate for graphics and murals, at greatly discounted rates. Be careful when specifying the use of these products as opposed to the materials produced by the giants in the business. Although a little pricier, the well-established companies have earned their place in the trade by selling top-tier vinyl that withstands the test of time. The no-name brands do not usually follow suit. Our graphic artists always suggest the use of a laminate. 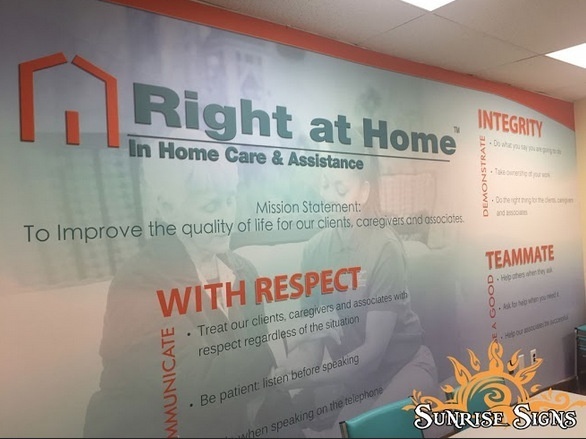 Unless you need some quick decals for a promotion that lasts no longer than a week or two, the use of a laminate greatly extends the longevity and great looks of the products. For starters, they withstand the brushes with bags, scuffs from shoes, and touches that some images evoke. Secondly, those products you want to see mounted in sun-exposed areas need a UV-protecting laminate to keep colors from fading. 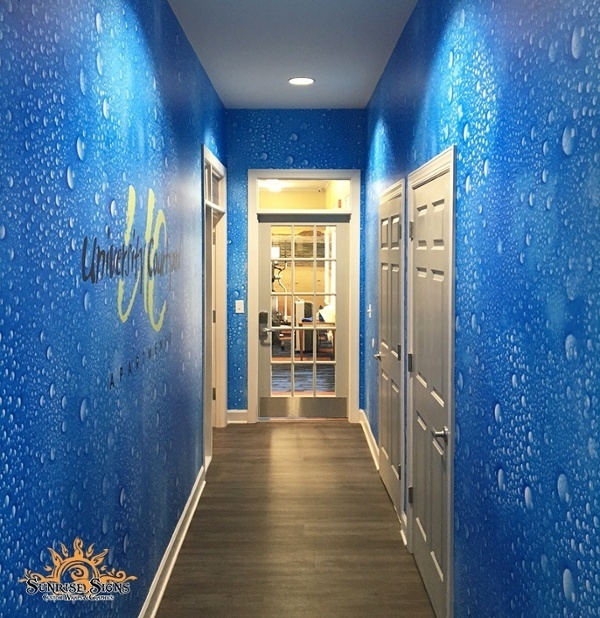 For exterior wall graphics or murals, a laminate is a necessity. Exposure to the elements easily ages the material and print before their times without a protective coating. 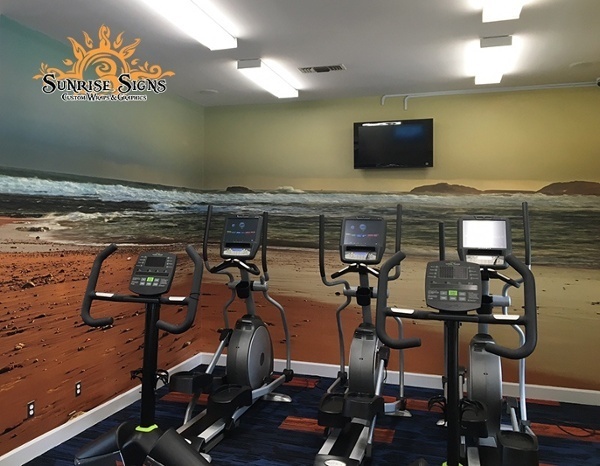 Whether you plan to use a mural to advertise a new product, introduce a service, or just to support your brand message within the venue, take full advantage of the customization the medium offers. The same goes for graphics that may take up space on multiple wall surfaces. Opt for contour-cut items, and do not hesitate to make good use of your logo’s shape. Other ideas for graphics shapes include geometric forms or niche-specific image outlines. For murals, in particular, factor in the importance of cutting out space for doors and windows. Some doors, such as closets, easily blend into an image by applying the imprinted vinyl to the surface. Windows, however, stand out. When you contact our experts to visit your location, they will measure for cutouts and provide you with suggestions for sizing the graphics. After all, if the most important feature of the image gets lost because of a window opening, it may be better to decrease the size or shift the graphic's focus. 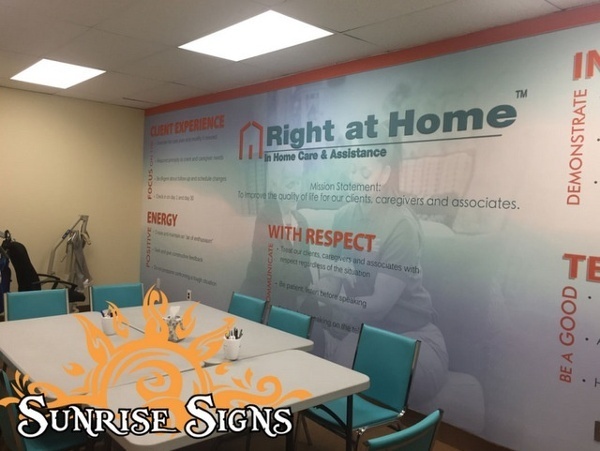 If we have inspired you to take a closer look at incorporating wall graphics and murals in Philadelphia, PA, offices, storefronts, or even your venue’s exterior appearance, contact our graphic artists to set up an appointment today.